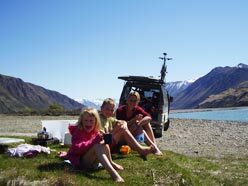 South Canterbury NZ offers a range of both public and private medical facilities. A number of leading medical specialists have chosen to settle here, many emigrating from other countries in search of a better lifestyle. 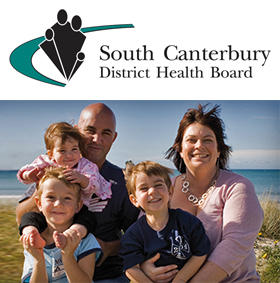 Primary and community health services in South Canterbury are integrated with the South Canterbury District Health Board. There are approximately 30 general practitioner/doctors throughout South Canterbury and many pharmacies and chemists. 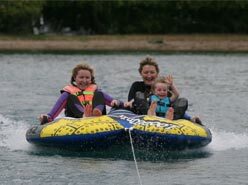 South Canterbury is well served with social agencies that cater to the specific needs of disadvantaged sectors of the community and those with special needs. Elderly people are well catered for in the district, with a range of aged care facilities ranging from self-contained cottages and apartments within retirement villages, to full hospital care and dementia units. The South Canterbury District Health Board employs more than 950 people and provides hospital and health services to more than 55,000 people in the South Canterbury region. Timaru Hospital is a 131-bed facility, providing a range of inpatient, outpatient and community secondary services to the people of the South Canterbury region. The hospital provides 24 hour, seven day acute medical, surgical and maternity services, assessment, treatment and rehabilitation (AT&R) services for older persons and a number of tertiary services through visiting clinicians. Medical services offered at Timaru Hospital are mainly general medicine with resident sub-specialty interests in gastroenterology, rheumatology and endocrinology. Visiting specialist clinics are also provided in neurology, cardiology, renal medicine and dermatology. A district nursing service is also available. Surgical services include both elective services and a 24-hour district trauma service supported by 24-hour specialist cover in general surgery, orthopaedics and gynaecology. Ophthalmology, ORL/ENT, oral and dental surgery also is provided, as are visiting oncology services. Assessment, diagnosis, treatment and care is provided for people who are suffering from a short-term mental illness (or acute exacerbation of a long-term illness) or substance abuse. Bidwill Trust Hospital is a private surgical hospital with facilities comparable with the best in New Zealand. The hospital has 14 inpatient rooms, all with ensuites. Due to the growth in demand for private surgery, the hospital is expanding to include a third operating theatre and a dedicated day surgery unit, opening in 2011. Bidwill Hospital offers an extensive range of services including general surgery, orthopaedics, ophthalmology, oral, ENT and gynaecology. The hospital is a Charitable Trust, with surplus funds are invested back into the hospital to ensure that the best equipment and facilities are maintained. Bidwill Hospital prides itself in providing a quality service and excellent patient care. In 2009 Bidwill Hospital won the New Zealand Private Surgical Hospitals quality award and the South Canterbury Chamber of Commerce Business Excellence Award for service.